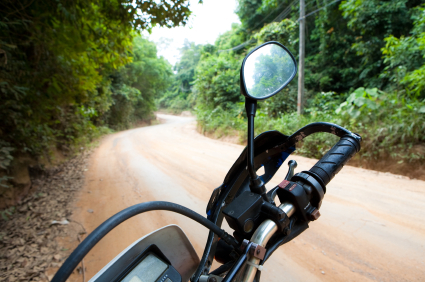 Last year, the state Legislature passed a law allowing individuals to register motorcycles manufactured for off-road use as street-legal motorcycles if specific safety equipment is installed and inspected by a Washington licensed motorcycle dealer or repair shop. This month, DOL started accepting these new registrations and also notified about 600 owners of off-road motorcycles that were improperly registered as street-legal motorcycles that they will have to complete the inspection process to retain a street-legal registration for their motorcycle. After being alerted by motorcycle owners about errors in the system, we looked carefully at all potential sources of data available to determine whether a motorcycle should be classified as off-road or street legal. We found there is no way for us to reliably determine the manufacturer’s intended use for some of our state’s motorcycles. Because of this data issue, DOL will allow motorcycles currently classified as street legal to remain street legal. We have sent letters to 600 affected motorcycle owners to notify them that they can renew their tabs normally. The owners of off-road motorcycles that are not currently registered as street legal will still be required to complete the inspection process under RCW 46.16A.435 if they wish to convert their motorcycle for street use. All owners of off-road motorcycles that have been modified and licensed for street use will be responsible to make sure their motorcycles have all of the safety equipment required under state law and that it is in proper working order whenever the motorcycle is operated on public roads. If the required equipment is missing or not functioning properly, the rider can be stopped and cited by law enforcement officers. Several websites targeting drivers across the country are promising easy online driver license renewals, but appear to be delivering little except credit card charges. These companies, which appear to be located in foreign countries, are using paid advertising results on the major Internet search providers like Google and Yahoo to lure customers away from the official Department of Licensing (DOL) website. This is leading to extra fees paid to unknown companies who appear to be offering little more than services already available for free using the official DOL website. Customers have reported these sites are charging as much as $35 dollars for “customer service” assistance in renewing a driver license. In addition many of these customers suspect these sites have sold their personal information to others for marketing purposes. DOL posted a video on YouTube this week explaining that these websites are not associated in any way with DOL. Access to DOL information and forms is free on the DOL website. Whenever you look at search results, keep in mind that the first several results may be paid advertising. Don’t just click on the first link; take a moment to examine your search results and pick carefully. If you need to do business with DOL, choose one that includes our “wa.gov” domain in the website address. Take time to read the fine print. These sites are taking advantage of the fact that people seldom read disclaimers on websites. You are currently browsing the Licensing Express blog archives for February, 2012.